A new addition to the ever expanding Android Mini PC market has been unveiled this week with the launch of the new UG007 Android mini PC which comes running Google’s latest Android 4.1 Jelly Bean operating system. The UG007 is powered by a 1.6 GHz Rockchip RK3066 dual core processor supported by 1 GB of RAM and includes a generous 8GB of storage that can be expanded using the devices included microSD card slot. 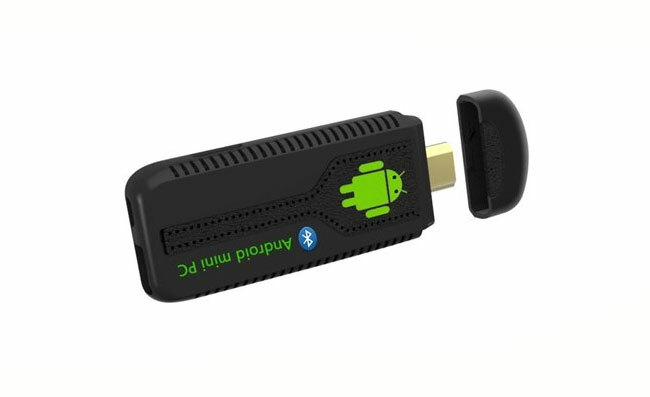 Graphics on the Android 4.1 mini PC are provided by the well know Mali 400 graphics processor, and other features of the mini PC include 1 x USB 2.0 port, and 1 x HDMI which allows you to use the UG007 to easily convert your HDTV into a SmartTV. Using the Bluetooth connectivity to add a keyboard and mouse when required. The UG007 Android 4.1 Mini PC is now available to purchase online with prices around the $60 mark.